Our Miami personal injury lawyers will even explain to you how to represent yourself in a slip and fall injury claim. At the Wolfson Law Firm, we are responsible to our past, present and future clients to inform and educate folks on what to expect and do when they are hurt due to the negligence or intentional acts of another person or corporation. 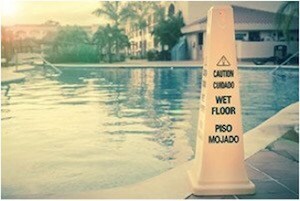 Slip and fall accidents in North Miami Beach can be difficult to prove. Commercial stores, supermarkets and shops are often reluctant to settle because of a mistaken belief that if they settle cases it will encourage more people to sue them. Insurance defense attorneys encourage this behavior and have a financial interest in continuing to “deny, delay and don’t pay” claims. What does this mean for you if you are injured in a NMB slip and fall accident? You will most likely need experienced and aggressive NMB injury attorneys on your side who will fight for you and protect your best interests. These commercial property owners want you to visit them and ultimately spend your hard earned money with them. But when you go to their store, they are making a promise that their store is safe. But that promise is broken time after time and good people get hurt. Given the “deny, delay and don’t pay” posture of these stores and their insurance companies, a lot of people are stuck wondering what to do and how to get justice for their NMB slip and fall injuries. We take a team approach in handling NMB slip and fall injury accidents. Our NMB slip and fall lawyers work with medical and engineering experts to make sense out of what happened to you in your NMB injury accident. We understand that time is money and we work diligently to bring your NMB injury case to settlement or jury verdict as quickly as possible. At the Wolfson Law Firm, our NMB personal injury lawyers can assist you if you were injured in a NMB slip and fall. We will meet with you at your home or in our office. We will be available to discuss your case during our representation of you and your family. The Managing Attorney of the Wolfson Law Firm is Jonah Wolfson. 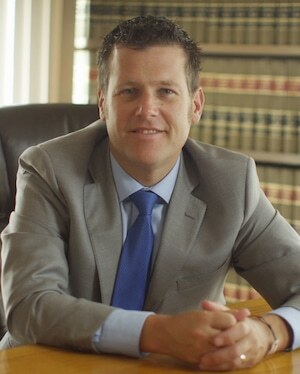 He is a bilingual NMB wrongful death and personal injury attorney. Jonah has served his community as a Miami Beach City Commissioner for eight years. Allow Jonah and his NMB personal injury team help you. All you need to do is call us at (305) 285-1115 and let us get started on your case right now. Our NMB wrongful death and injury lawyers have served South Floridians in a variety of injury and death cases including but not limited to the neighborhoods of Hollywood, Miami Beach, Hallandale, Miramar, Aventura, North Miami, Pembroke Pines, Miami Shores, Surfside Bal Harbor, Edgewater, Ojus, Golden Glades and Miami Gardens.